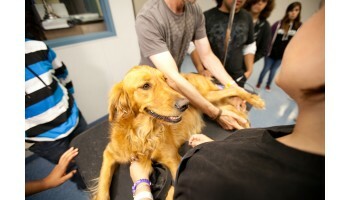 Students will learn to perform animal grooming duties such as washing, brushing, clipping, and trimming coats, cutting nails, and cleaning ears. Enjoy the challenge of handling pets effectively and safely in order to perform the necessary grooming/styling procedures. Interpreting animal behavior and identifying grooming needs on live dogs will hone your skills and ease entry into the pet care industry. A vast variety of dog breeds will also be covered in great detail. Put your pet-loving skills to work for you! Sachiko Y. has successfully found employment as a Bilingual CMA after completing course(s) in Certified Medical Assistant.